The KÜHL RESPONSE™ SHIRT is cut from luxurious ELÜXUR™ LITE fabric. Woven from 100% polyester microfiber, ELÜXUR™ LITE is peached with an air texture and finished with IONIK™ to resist odor. UPF 30 provides sun protection. 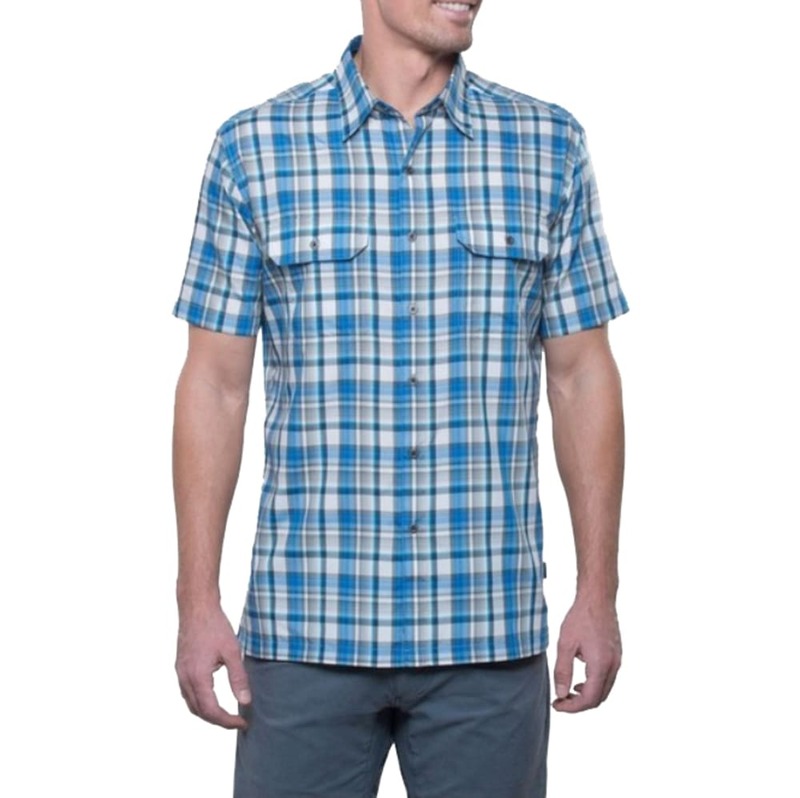 With mechanical stretch for freedom of movement and excellent recovery, this button-down classic features two chest pockets with button closure and a hidden security pocket. Quick dry, wicking, and wrinkle resistant, the RESPONSE SHIRT is perfect for travel and adventure. Easy care, wash, and wear.